Braun is a well-known German maker of personal care products, including electric shavers for men. They still believe in manufacturing their products, and electric shavers right in Germany. They also believe in making personal care products affordable, not expensive. They have a large line of personal shavers to choose from, that remain very price-friendly for the consumer. 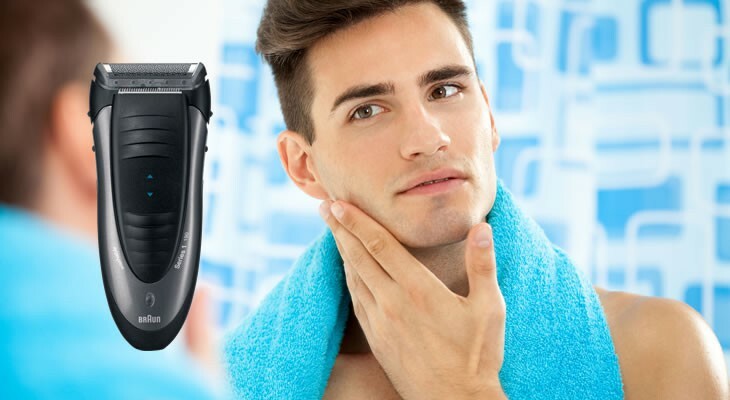 The Braun Smart Control 190s-1 cordless shaver is perfect for the face, providing a smooth clean shave for men. The Braun Smart Control 190s-1 cordless shaver is the perfect choice for men who are starting out with their first shave, or who are in college, and need an affordable cordless shaver that works great, but doesn’t break the bank. This cordless shaver gives you up to thirty minutes of cordless shaving time, with each charge. It can be charged up with included charging cord. The Braun Smart Control 190s-1 cordless shaver comes in a dark grey and black plastic casing, and it’s easy-to-grip, so you won’t easily drop it, even when it’s covered in soap and water in the shower. 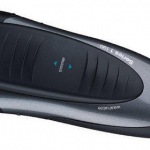 The Braun Smart Control 190s-1 cordless shaver is built with a patented SmartFoil system. 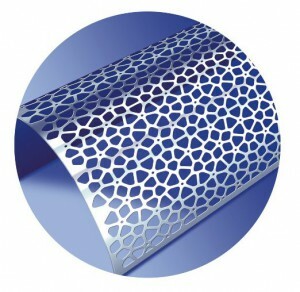 SmartFoil captures the most problematic hairs, and effortlessly shaves them down. It efficiently trims hairs right down to the root, without needing to constantly go over the same spot again and again. This also minimizes skin irritation, when you only have to go over the same spot once or twice. The Braun Smart Control 190s-1 cordless shaver can be used wet or dry. It’s encased in a 100% waterproof cover, so that water and moisture can never get inside to damage the motor. You can use your shaver dry for maximum shaving convenience any time. 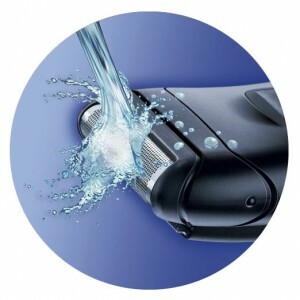 The shaver can be used wet in the sink, or brought into the shower or bath with you. You can use shaving gels, foams, lotions, and creams, and they won’t affect the inner mechanics of your electric shaver. Shaving wet gives you the ability to get even closer to the root of your hair, and it also minimizes any sort of irritation you may feel after shaving. Your skin won’t look red after a wet shave either. It’s also easy to clean the Braun Smart Control 190s-1 cordless shaver. There is no additional cleaning unit, that tends to escalate costs with other brands of men’s shavers. A cleaning unit isn’t necessary when the Braun Smart Control 190s-1 cordless shaver is so easy to clean anyway. Simply rinse it under a warm running tap to get out any stray hairs, or shaving gels, lotions, or foam residue. You may not need to clean it after each dry shave, but when you use lotions, and gels, you should clean it after each use, to avoid any product build-up inside. The foil head pulls off, so you can give it a good rinse inside. You can also brush out any tiny hairs with the including brush, that may have gotten trapped inside. The Braun Smart Control 190s-1 cordless shaver has an easy grip body, so you won’t drop your shaver by accident in the shower, even when it’s soapy and wet. The Braun Smart Control 190s-1 cordless shaver is built with a touch sensitive system, for easy adaptation to your face. There’s no need to press hard, or wear out your hand. The Braun shaver will smoothly adjust to however much pressure you place on your face. If it’s uneven, it will adapt, and still provide a clean smooth shave. There is also a long hair precision trimmer on the Braun Smart Control shaver. It will trim precisely around beard, mustache, and side burns. Braun recommends three steps for achieving the best shave. 1. You should shave before washing your face. 2. You’ll want to always hold your cordless shaver at a ninety degree angle to your skin. 3. Stretch your skin, and then shave against the direction of your beard growth. Many electric shavers must be charged up first, before they’ll shave. But with the Braun Smart Control 190s-1 cordless shaver, it’s not necessary to unplug the charging cord first. Sometimes, you forget to charge it up the day before. This shaver still actually works, even with the cord plugged in. This provides extra convenience in one versatile facial shaver. The Braun Smart Control 190s-1 cordless shaver is affordably priced. 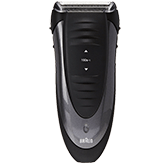 You’ll be able to add a trimmer and body shaver with minimum investment, to truly groom your entire body. You’ll find that the Braun Smart Control 190s-1 cordless shaver is reasonably quiet. Sometimes you don’t need a lot of irritating noise in the morning. You’ll be pleased that this shaver isn’t loud and annoying. Inside the box you’ll receive one Braun Smart Control 190s-1 cordless shaver with precision trimmer, a charging cord, protective cover, a small cleaning brush, and a two year warranty. The Braun Smart Control 190s-1 cordless shaver is powered by a NI-MH battery. There is also a 45 day risk-free money back guarantee. The product weighs 14.1 ounces. It has a 110 Volts, so keep that in mind, as it may not work in certain parts of the world that you’re traveling too. To keep your Braun Smart Control shaver working perfectly, you’ll want to replace the shaving head with Series 1, 10 B, every 12 to 18 months. 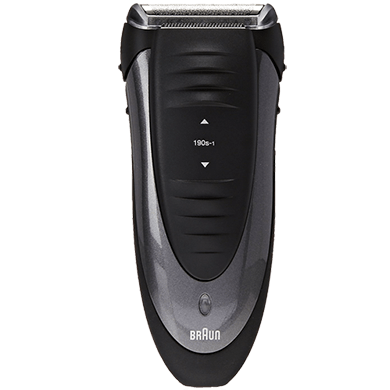 The Braun Smart Control 190s-1 cordless shaver is the perfect shaver for men who are just starting out with shaving. It’s also a great option for traveling. 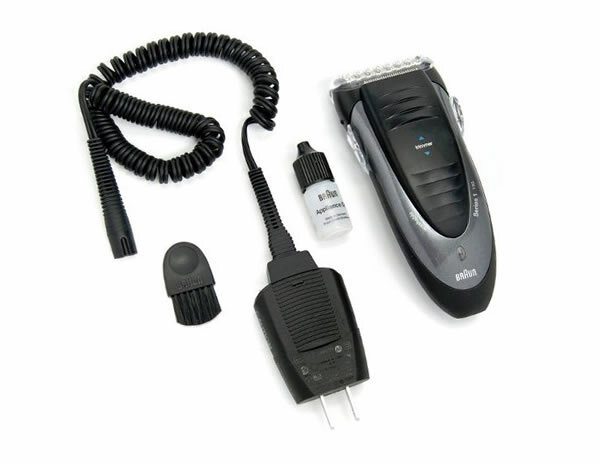 Its low expense means that you can purchase an extra shaver, and keep it ready to go in your luggage at any time. The Braun Smart Control 190s-1 cordless shaver will provide a clean, smooth shave. It gets the job done with a minimum of fuss, so you can look great every day.